In construction terms, there are three "Fs" that happen at the beginning of a new building; footings, foundation, and framing. Recently, you'll notice that pipes and bricks have been delivered in the back of the school property. The construction team has been working on the first "F" to set the footers. 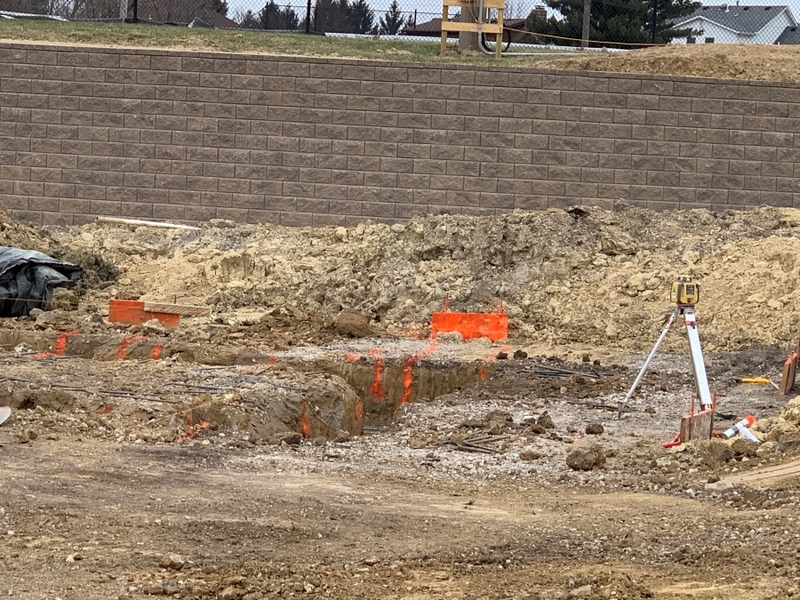 Once footers are in place and have passed inspection, the construction team will pour the concrete slab of the foundation. This provides a stable structure to frame the building.